My video blogging adventure at the Goodwood Festival of Speed last week was the first full video blog commission I have done. Or at least it is the first time I have visited an event with that sole purpose in mind. So of course, it was both interesting and valuable to monitor the reach and exposure I was able to offer the brands I was working with one the day. With over 10,000 followers and connections across the various social media platforms and accounts I work with, I’m able to leverage a consistently high number of engagements, but crucially, exposure puts this reach to the test in highlighting how relevant my content is to these people. During the period on and immediately following my one-day attendance at Goodwood, this website was achieving an average of over 500 new visitors a day. The majority of this traffic was linked from Twitter posts, with some evidence of signposting from YouTube, Facebook and Periscope. The hashtag #VPowerBlog which I set up on Twitter reached 232,394 users, with 505,234 impressions. This gives an exposure ratio of 54% between June 23-27th. 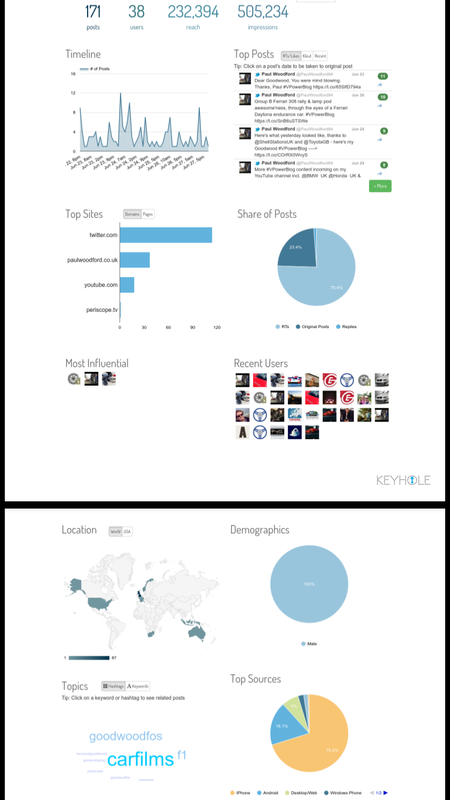 See the infographic (provided by Keyhole) for more information. The hashtag had no use before this date, showing the power of a healthy mix of content and wide ranging delivery across multiple platforms. Interestingly, the demographic of the hashtag engagement was entirely made up of male users. Perhaps next time I should find Jenson Button for a selfie?! 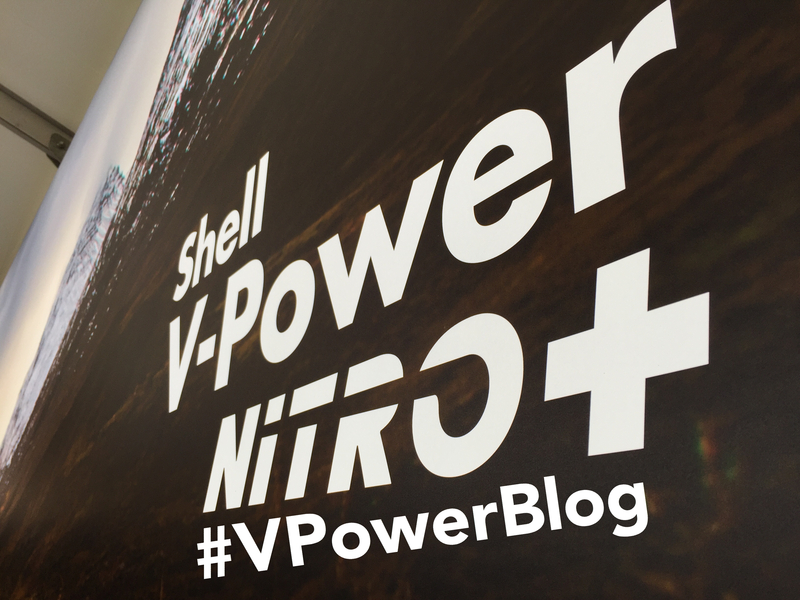 You can view all the video content from the #VpowerBlog HERE, together with the photo gallery HERE and my extended blog and car review of the hydrogen powered Toyota Mirai HERE. This all adds up to a positive impact for Shell V Power, and Toyota GB, adding significantly to the value they were able to achieve from their investment in attending the event. I was proud to represent both these brands, and I’m brimming with ideas if your motoring brand needs some positive exposure at future events.